Tired of not having a thorough plan to heal after infidelity? This course walks you through the critical steps required to address the infidelity and reconnect as a couple. "EMS" Online stands for Emergency Marital Seminar Online. Our methodology has been honed over decades of experience exclusively specializing in this field. Up front, it’s important to know that we won’t shame the unfaithful spouse nor blame the betrayed spouse. This is a safe place for both of you to heal. EMS Online's methodology has years of experience behind it and is faith-based. Rick Reynolds, LCSW has specialized in working with couples after infidelity for 24 years and has personally worked with 2,500 couples. He has learned what works, what doesn’t work and why. EMS Online 2nd Edition presents this knowledge with the right lessons in the right order. Two different workbooks are included in the course, one for the betrayed spouse and one for the unfaithful spouse. The 420 page workbooks will be mailed inconspicuously in a plain box that does not say “Affair Recovery” anywhere on it. Each chapter covers one week of the course and contains essential lessons and practical exercises that you’ll discuss with your Small Group each week. Each week has two unscripted videos of that week’s Mentor Couple. In the first video, they tell their stories - inspiring journeys from the darkest of times through healing and to their present lives of meaning. In the second video, they explain the role that that week’s lesson played in their recovery journey. Have a question about the curriculum that your Group Leader or fellow members can’t answer? Do not fear. You can submit your question to Rick. We film Rick reading and answering questions in the AR Studio once a week (most weeks). Then we post those videos for you to view as a participant. How’s that for an answer? You’ll receive 12 months of free access to the Recovery Library which typically costs $360.00. It gives you access to over 700 Expert Articles, Podcasts, and Videos that were authored by professionals who also have lived through and recovered from infidelity. If you don’t know about the Recovery Library yet, you can learn more here. After you’ve completed the 13 week course, we provide you with 52 weeks of online curriculum to help you continue meeting with your Small Group if you wish. The aftercare program is called Married for Life. By this point, you’ll be very familiar with the group process and your aftercare conference calls will be self-led by you or one your fellow group members. 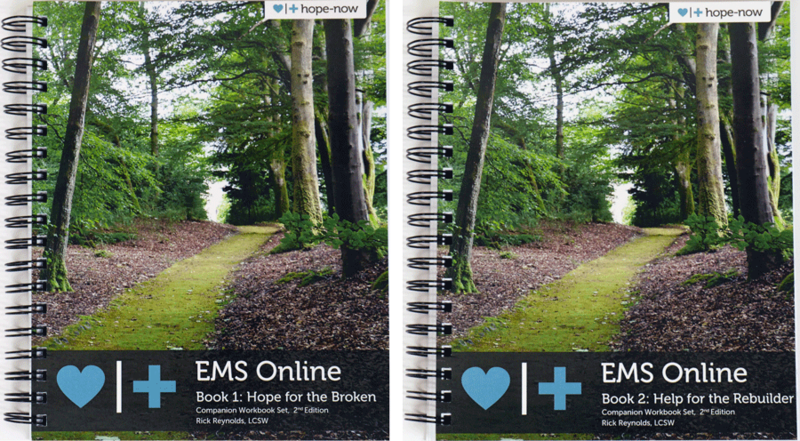 What's new in the 2nd Edition of EMS Online? After three years of hard work, we’ve completely overhauled EMS Online to create one of the most well thought-out recovery courses available. We filmed thirteen incredible lectures with Rick, and twelve inspiring Mentor Couples who recall their journeys of healing, unscripted. So much video was going to be packed into this course that we moved offices and built our very own AR Studio to film it all. What day and time will my Small Group’s conference calls take place? During your checkout process, you will have the above day/time combinations from which to choose. Please select as many as possible when purchasing. This will be the time and day that your Small Group will meet via conference call weekly for the 13 weeks. Once we’ve finalized the groups, we will email your group’s Start Date to you. How soon will I be placed in a group and start the course after the registration deadline? Typically, groups start within two weeks of the first day of open registration. The more open everyone’s availability is, the sooner the group can start. Occasionally it may take longer for a group to start if there are fewer than five couples that absolutely can’t meet at the same time. However, you will immediately have access to your course materials and all of the Recovery Library resources while your group is being scheduled. I don't reside in the United States, can I still participate? Important Note: The weekly conference call will NOT be a toll free number. It is a USA landline number and your calling plan rates will apply. If you are calling from outside the U.S. and do not have an applicable International calling plan, we suggest you use a VoIP system (i.e. Skype, Vonage, etc.). Purchasing VoIP credit is typically much less expensive than calling rates. Yes, you can participate! We have people from all over the world participate in an EMS Online group and are thriving. Our Group Leaders are worldwide as well. If you don't see a time above that will work for you, send us an email to info@hope-now.com. We'll let you know what we have coming up. On your own time, before your group’s conference call for the week, you will first watch Rick’s Lecture video online (20 - 45 minutes), watch the two Mentor videos online 1) their story and 2) their reflection on the role that that week’s lesson played in their recovery (45 minutes), read the lesson in your workbook and complete exercises that later will be discussed with your group. The week culminates with your Small Group’s conference call that is led by your Group Leader (1.5 hours). They facilitate your group’s discussion of highs and lows, exercises, and encouragement. Throughout the week you can chat with your group on your private Small Group Wall (similar to a forum). This gives you 24/7 connection and support with your group so when you face similar challenges and victories you can discuss them with one another. Each group is lead by one individual Group Leader who is carefully selected. Almost all of our Group Leaders are exceptional alumni of Affair Recovery’s programs. After experiencing incredible healing themselves, they feel a calling to help others who are where they once were. They have the compassion, desire, and talent that’s required to lead groups through this process. Our Group Leaders have more than just book-knowledge because they’ve personally experienced infidelity. They don’t just have sympathy; they have real empathy. We’ve found that people who have walked this path before and who have completed our Group Leader training program are able to provide incredible support, leadership, and encouragement during this difficult time. They are a light to others in darkness. What if I'm not sure I want to save my marriage? If you’re not sure you want to save your marriage, you might also be not sure that you don’t want to save it. Many couples find that the course helps them solidify an answer to this question. Considering the emotional, financial, and relational cost of divorce, it’s probably worth exploring, for 90 days, whether or not your marriage can become something different, something that brings you joy. Even not having feelings for your mate at this point is normal. Even so, there’s a good chance that those feelings will come back, but not without some changes by both parties. If you’re willing to do the work, change can happen. EMS Online can help you get started. What if we already have a marriage therapist? Many marriage therapists actually recommend EMS Online to their current clients and continue seeing their clients while in the course. Therapists value the course’s powerful Small Group format because they know group work is the gold standard when healing from trauma and developing empathy. They have seen from past clients how thoroughly the course addresses the infidelity and how much faster their clients are able to heal the attachment wounds that resulted from the infidelity. What if sexual addiction is involved? 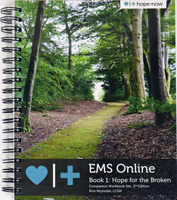 EMS Online is a good fit as a first step because we help the couple heal from the betrayal(s) so that they can be on the same page to tackle the issue of addiction together in the future. We cover relapse prevention, how to identify high-risk behaviors (and how to avoid them), and outline the necessary steps to be taken to keep the relationship safe. This is not designed as a substitute for the protocols necessary for the specific treatment of an addiction and the work that must be done therein. Disclaimer: EMS Online 2nd Edition is educational only. It is not counseling or therapy. If you need professional counseling, please seek a licensed professional in your area. 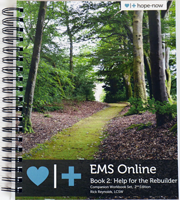 Affair Recovery’s EMS Online course literally saved our marriage from divorce. We had tried other professionals, which only lead us to more pain in our marriage. It was a relief to find someone who understood our pain. It was comforting to know that others were feeling and thinking the same thoughts as us. We were not alone on this journey. Our marriage has been enriched by the valuable lessons we have learned through EMS Online. This course saved our marriage. I was ambivalent about my husband's ability to understand my pain and the cost of his betrayal. I was not sure he would ever "get it" to the point that I would feel safe. This EMS Online course helped both of us understand each other on a level we never have before. We are closer now than we have ever been in 25 years of marriage and 36 years of knowing each other. Being able to interact with other couples going through the same thing was a blessing. There is hope for our future together because of this course.